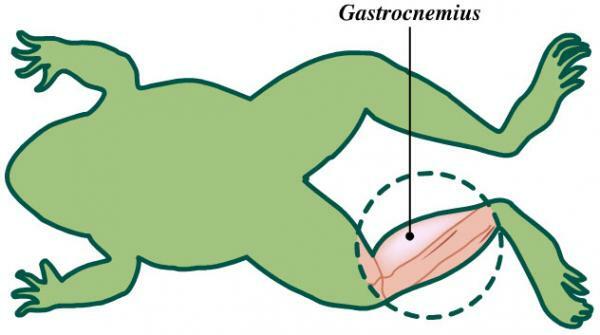 An interactive menu-driven program which simulates experiments on the isolated frog sciatic nerve - gastrocnemius muscle preparation to illustrate physiological properties of skeletal muscle. The program covers: removal of the preparation; apparatus and method; a series of experiments, in which high resolution graphic simulations of muscle contractions and compound nerve action potentials (CNAP) from sciatic nerve, derived from real experimental data, are displayed in a form similar to an oscilloscope screen or chart-recorder. 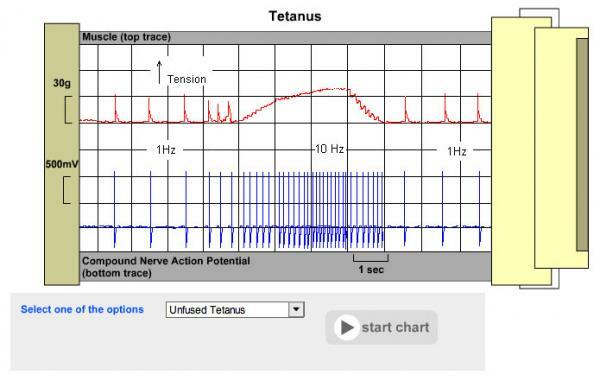 Experiments include: stimulus voltage/response relationships, summation, tetanus, length-tension relationship (in sartorius muscle), action of curare (on muscle and CNAP). Each experiment is prefaced by introductory text and experiment guide and includes assignements for students to complete. Target Audience: Undergraduate medical, veterinary, dentistry and biological/biomedical science students.